There are some books you can tell by the cover and blurb are going to be your kind of book. I felt that way about The Reason Is You by Sharla Lovelace. Isn't that a great cover? Today, I am happy to be a part of the The Reason Is You Book Tour. 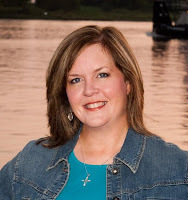 Author Sharla Lovelace has written a guest post and provided us with an excerpt. She is also holding a giveaway. We hope you enjoy the reading and follow her tour. Welcome. I will be sharing my review soon. BLURB: In the small river town of Bethany, Dani Shane never fit in. Being different pushed her to the fringes of society, and even leaving town for two decades didn't stop the talk. Now, with her sixteen year-old daughter Riley in tow, Dani is back in Bethany looking for a fresh start. Too bad her plans for staying under the radar are about to be thrown out the window. Hello and so glad to be here! I’m enjoying all these stops and love meeting new readers, so this has been a whirlwind. 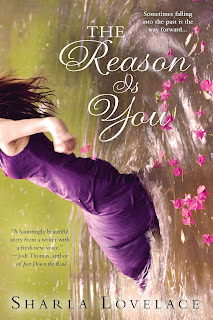 I’m talking a little bit about what brought about the ghostly storyline in THE REASON IS YOU. I’ve touched on this before, but basically I can’t seem to help myself when it comes to adding a touch of mystical or supernatural to my stories. It may not start out that way, but it always manages to seep into the cracks. Something a little weird or off kilter. I started this story with just the worn out single mom returning to her hometown with her teenage daughter. I knew the dynamics of that, I knew what the problems might be, but it fell flat for me. It needed the weird. Alex was a ghost that came to me ready to go, full of cockiness and snark and yet loving and loyal to the end. He was just what my main character needed—a reason to be nervous about going home. A reason to be nervous that her daughter would question things. A reason to worry again about other people catching her talking to a ghost. A past history of talking to spirits and hiding it was an exciting storyline to me. It gave her flaws and depth and interest. And it allowed me to play around in a medium I’d never been in before. I got to create some of my own rules and boundaries, and that was soooo much fun. Playing Dani, the main character, between two men living and dead, was also a blast and sometimes crazy to write. Obviously that kind of love triangle—and physical aspects of it—have limitations, so I had to get creative. Hopefully you’ll enjoy where I went with that…lol. In using ghosts, I got to bring in some other fun characters as well, which you’ll see. I hope you enjoy the book, and thanks again for letting me come chat with you! Feel free to ask me any questions! My head said to walk forward, but my feet went numb. Then he looked my direction, and suddenly I was head-to-toe buzz with blood rushing in my ears. I took a deep breath and attempted normal as I made it down the steps without tripping. Riley saw Alex. Riley wasn’t supposed to see people like Alex. She had her usual folded-arms-with-one-hip-jutted stance, looking annoyed as hell, while Bojangles circled the yard in a frenzy with his nose to the ground. Alex slowly took off his glasses and locked his blue eyes in on mine with that arrogant little smile of his. I felt heat radiate from every pore. I opened my mouth to say the same thing, that after twenty-plus years he still looked exactly the same, hot enough to melt my shoes. But then the mommy gene stood up and waved and I remembered Riley was there. He laughed, a deep throaty sound, as he pointed at Riley. A nervous noise squawked from my mouth. Nothing profound like I always imagined it would be. “The eyes were the first clue,” he said with a wink. Riley frowned, her expression a mix of disgust and wariness. Sharla will be giving away a $20 Amazon or BN gift certificate to one randomly drawn commenter during the tour and a $15 Amazon or BN gift certificate to the host with the most comments (excluding Sharla's or the host's). The tour dates can be found here. Thanks for hosting me today! Looking forward to it! Thank you for hosting Sharla today. I can't wait to read this whole book. And of course to meet you in person. I love the story line. I really want to get this book to read. Thank you Sheila! And yes ma'am!! lol! Sharla, the more I follow you on this tour the more I am ready to read this book. I wish you the best! Thanks so much for doing this tour and for sharing part of your work! Maybe ask readers if they believe in ghosts. I know I am just going to love Alex - snarky & cocky makes for great reading. Love the cover. I couldn't stop myself from tilting my head to look at it though. And the excerpt definitely perked my attention.